Over 10' of Military Spec 550 Paracord. Tons of colors and color combinations to choose from. 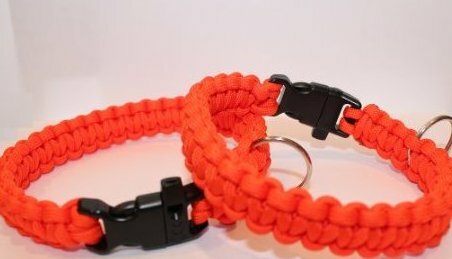 Durable whistle buckle for owners use in emergencies. Steel leash ring.